Kim recounts her story to those around the world. And each time, she paints an unforgettable image of her life and how it was altered by the click of a camera. Nick Ut's photograph saved her because of the recognition she received. Kim was fast tracked to special burn clinics, survived 17 operations, and received plastic surgery to lead a "normal" life. Overcoming pain, fear and death, Kim talks about an incredible life path that many will never experience. After surviving such trauma, Kim is still full of strength, compassion and forgiveness. Her ability to survive one of the worst atrocities and her eagerness to give back to the community is an uplifting and inspiring message of the power of humanity for her audiences. 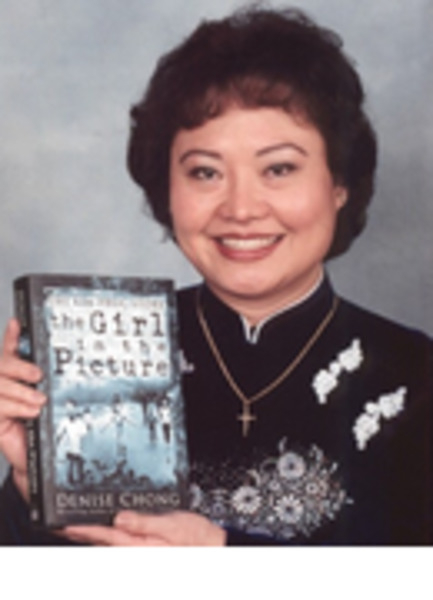 Now Kim Phuc lives in the Toronto area of Canada with her husband and two sons, Thomas and Stephen. In 1997 UNESCO named her a Goodwill Ambassador for Peace. She is also an Honorary Member of Kingston Rotary, an Honorary Member of St. Albert Rotary, a member of the Advisory Board for the Wheelchair Foundation, an Honorary Member of the Canadian Commission for UNESCO, a Member of the Advisory Board of Free Children's Foundation in Canada, and the World Children's Center in Atlanta Ga., USA. Kim is also a recipient of the Queen's Golden Jubilee Medal and the 2004 "Order of Ontario". "I was amazed at Kim's attitude. I'm sure that I have never met anyone who has gone through such trauma, at such an early age, and come out so totally positive and forgiving. Her presentation reassured me about the strength that we all possess. When we mix this element with the power of love and forgiveness, miracles can happen." "As an ambassador to her cause, she brings peace and happiness to those she meets and an understanding of forgiveness for all of us. Your spirit will soar also as you hear Kim's moving message of her life and how she has overcome many adversities to be one of the most recognized and respected young women in the world today."